Service Canada Citizenship Program offers a single-window access to a vast range of Government of Canada services and programs services for immigrants and citizens through more than 600 points of service centers located across the country through call centers, and Internet. Applications are received and processed by the Citizenship program that provides grants for the Canadian Citizenship as successful applicants. 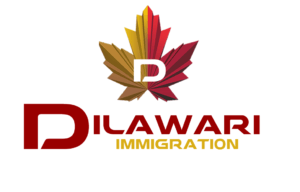 Information about applying for Permanent Resident status and migrating to Canada is provided through The Permanent Resident Program. Protected persons and refugees are granted loans to cover their cost of medical exams that are conducted abroad, transporting to Canada and the related documents through The Immigration Loans Program. The Host Program helps the new permanent residents, refugees and protected persons to adjust to life in Canada by matching them with Canadian volunteers, who help to carry out social, commercial, educational and employment activities. People, who are not able to pay the RPRF and are looking for permanent resident in Canada, are granted with loans from The Right of Permanent Residence Fee (RPRF) Loan program. MoreVisas can assist you through this program to get you the maximum benefit for you. We have the expertise to know and understand the requirements of all the immigration aspects.